The Rhone valley is one of the most defining features of the economic, social and cultural shape of France. These three stages illustrate all of these aspects beautifully. From the numerous, world-famous vineyards to the rice-fields and salt ‘pans’ of the Camargue region ; from Roman ruins to contemporary colourful graffiti and mural art, and with signs pointing us along the Via Rhona and the Route Touristique des Cotes du Rhone, we are spoilt for distraction from the cycling itself. The route crosses the Rhone a total of six times over the three days and visits the ‘departments’ of Haute Loire, Ardeche, Auvergne/Rhone-Alps, Drome, Vaucluse, Gard, Bouches-du-Rhone, and the Languedoc-Rousillon. All this with barely a stretch of main road and as many quiet back-roads as it has been possible to include, as well as a total of nearly 60km of traffic-free cycle path. The first day is the toughest challenge of the event. Although the gradients never touch 10%, this stage alone will require genuine training if you do not wish to suffer too much ! Days two and three have noticeably less climbing but will have their own challenges, which could well include a nasty wind if Mr Mistral is around ! But none of this will deter from the enjoyment of exploring the beautiful French countryside and the equally charming villages all along our route, complete with irrestible café terraces on picture-postcard Provencale village squares. In brief, another stellar SGBT route that you might well regret not being part of! It’s very important that we remember the main aim of the ride is to raise money for this extremely worthwhile cause – we’re aiming to beat the last total of £250,000 so we definitely need all of your help to do it! Please invite your friends and family to join us on this amazing challenge to raise funds for our cause. 874 MILES IN 8 VW’s Lands’ End to John O’Groats in aid of Sarah Greene Breast Cancer Now – in a retro ‘67 Beetle Cabriolet! Setting off at 5am on Friday 19th April and driving 874 miles in 8 VWs from Lands End to John O’Groats, the wonderful team at Just Kampers are donating 100% of their fundraising to ‘Sarah Greene Breast Cancer Now’ . 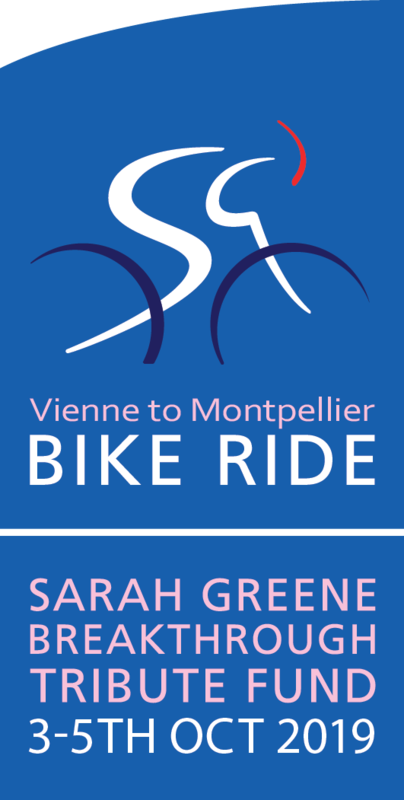 Any help publicising or sponsoring their Sarah Greene fundraising event would be hugely appreciated. Just Kampers – trading since 1989, the number one parts and accessories supplier for VW Camper vans and Beetles. I am running the London Marathon on the 28th April, which is looming with terrifying proximity. What seemed like an excellent idea last August is now looking pretty ominous! I’ve been pounding the pavements for quite a few months now, gearing up for the big day on the 28th April, which has been quite a challenge to fit in around some hectic work hours! Although many of you are very familiar with the amazing charity that I feel lucky to have the opportunity raise money for, some of you may not. I am running for Breast Cancer Now, and specifically the Sarah Greene Tribute Fund, which was set up in memory of my gorgeous Aunt Bizzy, and focuses on research into Triple Negative Breast Cancer. My fundraising page can be found at: https://uk.virginmoneygiving.com/fundraiser-display/showROFundraiserPage?userUrl=AmeliaCoe&pageUrl=1 and any sponsorship, no matter how big or small, would be massively appreciated. Sarah lost her life to triple negative breast cancer, one of the most aggressive types of the disease. Triple negative breast cancer is a form of the disease which has limited treatment options because it cannot be treated using targeted therapies available for other types of breast cancer. We urgently need to find new ways to treat triple negative breast cancer to improve the chances of survival for people with this form of the disease. ” Although it’s hard to go wrong when choosing an area to visit in rural France, when Simon & I drove this route last year I was especially pleased with how the route fitted so well together as a ‘complete journey’. I knew most of the roads, but I had never juxtaposed them before in this way. The way we traverse the Rhone, alternating between it’s west and eastern banks and exploring the adjacent hills, before heading across the Rhone estuary to find the sea at Montpellier seemed just perfect. The mix of wild, beautiful scenery; village squares oozing with typical French charm ; passing Roman ruins that remind us regularly of what a rich history this area has; and then crossing the ‘salt flats’ of the Camargue, with it’s largest salt production in France, all combine to create a truly perfect ‘Taste of France’. I have seen and ridden many,many roads in France over the last 15 years and I feel so lucky for having gained this experience. It has enabled me to become especially sensitive to what France is REALLY good at ! My overall impression after our reconnaissance together with Simon has been so strong that I have now designed my own ten-day event ( “CCC Rhone”) in this very same area. Fear not though, we have been able to design a route for you without taking many of the “High Roads” that a Cent Cols Challenge is known for! Neither Simon nor Hen asked me to write this. I just felt compelled to point out to those who might not know what to expect that this is so much more than another Sarah Greene French ride : it’s a real opportunity to see some of the ‘best of France’ from a bike in a unique way. Hotels are perfect for us; we’ve found great lunch stop places; and we believe that with a minimum amount of training, this will be do-able for all. Finally, watch the Tour de France this year : the area around Nimes is being given star-treatment, exactly where we will be riding on our Stage 3. 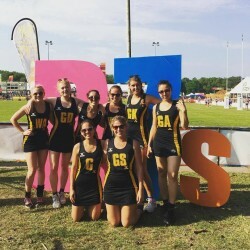 Bournemouth 7s – the Sporting Glastonbury! Emma Rogerson and her formidable Desert Cougars netball team are raising funds for Sarah Greene Breast Cancer Now. They’ll be competing at Bournemouth 7s, the World’s Largest Sport & Music Festival, 24th– 26th May. The festival attracts 30,000 party people and 400 teams in 5 sports….. sports people and festival-goers alike! We thank Emma and the Cougars for their wonderful support and wish them success in their matches. Riders can now set up their own fundraising pages Send a cheque to Sarah Greene Breakthrough Tribute Fund Make a donation via on line banking Make your donation worth more with Gift Aid Your contribution makes a difference and SAVE LIVES! 11,000 women are diagnosed with triple negative breast cancer every year. This aggressive form of breast cancer currently has no established treatments using targeted therapies available for other types of breast cancer. Understanding the causes of, and developing better treatments for, triple negative breast cancer is vital if more women are to survive the disease. BreastCancerNow believes that, if they can continue with their work, in 10 years’ time some types of breast cancer will no longer be life threatening. With our help, they established a Research Unit at King’s College London to focus on triple negative breast cancer. With your help, their scientists are working to ensure women need no longer fear a diagnosis of this aggressive type of breast cancer. A small group of Sarah’s freinds and family established the SGBTF in 2007 after Sarah’s death. The team includes Sarah’s husband Peter and sister Alice along with Simon Halden, Hen Wheatman, Freddie Barker and Gordon Montgomery. The team work on a pro bono basis and no fees our charged for our time. We are responsible for overseeing the organisation of all our events and we administer the distribution of all funds raised in aid of the SGBTF with help and advice from the BreastCancerNow team including Professor Paul Ellis who heads our unit at Kings. You can make a difference. Every penny you give helps us fight Triple Negative Breast Cancer. We have raised £1.25 million to date! 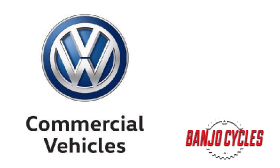 We are also so grateful for the continued support of our other sponsorship partners VW Commercial Vehicles and Banjo Cycles.